We all know what body positivity is, and if you don’t, here’s one Bad Yogi’s (read: my own) take on it: it’s a social movement that gives a big middle finger to the thin ideal, fighting for acceptance of all shapes, sizes and appearance. The movement has taken on other forms: body acceptance, body liberation, body neutrality, etc. In the end, it all it works towards the same goal: shifting the focus from the body to the Self. This concept can enhance our yoga practice, allowing us to celebrate the body we were given. Let’s be honest – how many times have you scrolled through a feed of Instagram yogis and thought to yourself, “Wow, I feel great about myself!” Yeah, it doesn’t happen. Incorporating body positivity is paramount to a happy, lifelong practice. 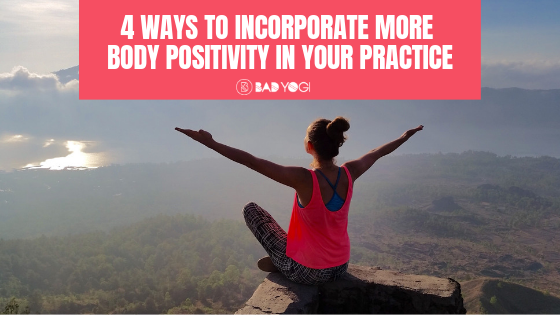 From my personal practice and how I teach my students, here are four ways YOU can start being more body positive in your flows today. 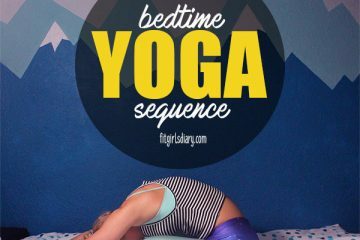 The physical practice of yoga is, among other things, connecting the body to the mind through sequenced movement. In my earlier yoga days, I can remember being so out of touch with my body. I had a really hard time staying present. The idea of being mindful in my own skin was revolting. My teacher is asking me to “check in” with myself? See how I’m feeling? Asking me where in the body I’m feeling that feeling? The NERVE. Something that sounds so unlike me now was real to me then. It may be real for you now. If that is you, take the leap of faith. Listen to your teacher and check in with yourself. Feel your body move. Sit with the negative or uncomfortable thoughts that come from it. Try to see yourself as the Observer, and your body and thoughts as the subjects of your observation. Separated from you, but still deserving of your time and attention. You’ll begin to notice how your mind and body are connected. What you think, you feel in the body. Sooner or later, you’ll be able to combat negative thoughts with the Observer’s wisdom – opening space for healthier thoughts and a greater connection to the body. I found when I was battling some pretty intense body image/stress issues, using mantras during my practice helped get me out of my head. I tried my hardest to transform my negative thoughts into two or three mantras that I could repeat throughout the hour. Any time I observed a negative thought, I would repeat my chosen rebuttals. Before each practice, think of three things you really want to be, but feel you aren’t. For example, maybe you want to be strong, brave and powerful. During that next hour of yoga class, repeat, “I am strong. I am brave. I am powerful.” Any time you notice any negative self-talk/thoughts, repeat them with more intensity and concentration. You may not believe the mantras at first (I sure as hell didn’t). It will take several days of commitment to notice the shift in your psyche. Stay committed. 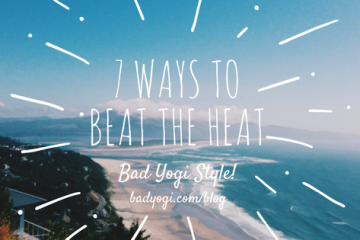 You deserve the work, fellow bad yogi! A body part of mine makes it difficult for me to get into some asanas. Quite frankly, there’s just a lot of flesh there that hinders my ability to obtain the “full expression” of certain poses. So in the name of body positivity, I say f*ck the full expression. Yes, it feels really good to master an advanced pose, but every body is entirely different. Not everyone will conquer the full expression of every pose. If something isn’t working for you anatomically, adjust it so that it works for you. It may not look the same, but honoring your body in the here and now is so much more important than internal punishment for the physical self. I am not saying we should give up on trying our best – I’m saying if the pursuit of a pose leads us to continued self-loathing, let that shhh go. I don’t mean “success” as in an achievable measure. I mean we feel good about ourselves when we are wearing clothing that feels good on our bodies. Feeling good means the clothes fit properly (not too tight or too big), are a color we like, and come in a comfortable fabric. Yes, if you are wearing items that are too small for you simply because they fit last year, it’s time to give them the ax. “Marie Kondo” your yoga clothes and sell or donate them. Purchase something new that fits. Honor your body by giving it the respect it deserves. Adorn it with clothes that feel good. There may be some residual old-clothes/old-body mourning, but I promise it will be shortened by getting on your mat in those new forest green yoga pants that are bad a** – and don’t roll down constantly. The above four ideas are just the start. You deserve to love the body you’re in, even if you don’t like it all the time. 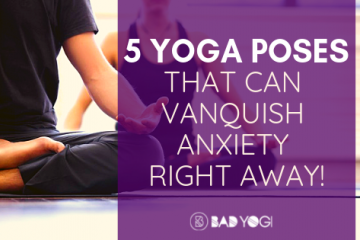 It is the vessel you use to move through this life (and through yoga! ), and it deserves your respect. Have anything to add? Let us know in the comments. 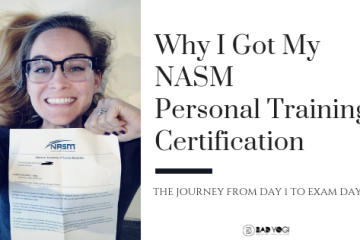 Good read and valuable information! Awesome article Fu*k the full expression! I really enjoyed reading the article. I have noticed over time loving me, my body, staying healthy, being mindful of what I eat, food choices, and where I want to be are important to me. I think those are great things to value. Nice article, They say, “write what you know” and this is the proof! Dani Schenone is a 200-hour registered yoga teacher and will be graduating with her MBA in Marketing in June 2019. 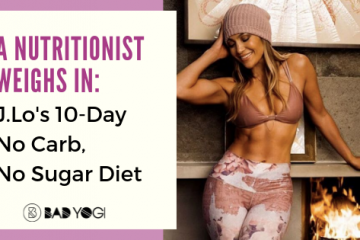 She loves helping others connect to their bodies through yoga, joyful movement and intuitive eating. She lives, works and plays in Northern California.